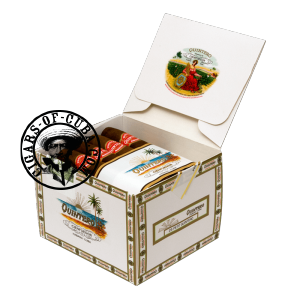 One of Habanos’s newer releases, the Quintero Petit Quintero comes in to develop this brand further. A balanced cigar, that develops bitter, sweetness throughout a linear smoke. The cigar is quite raw in its power and will finish almost harsh. Great value for the price, this is a cigar that will appeal to those in search of simpler, more direct powerful smokes.